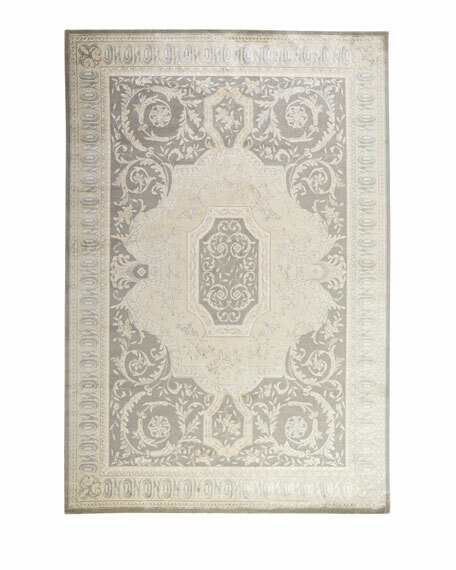 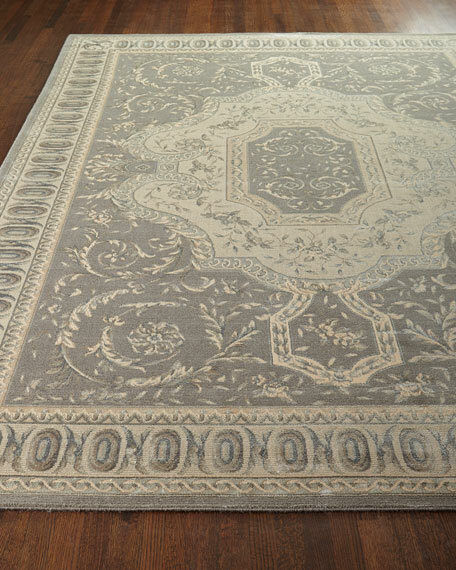 Clara Rug, 7'6" x 10'6"
Rug features intricate floral motifs interspersed with delicate geometric forms. 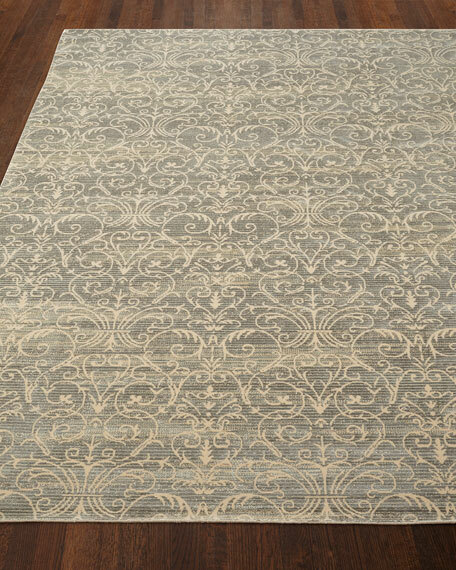 Clara Rug, 3'5" x 5'5"
Clara Rug, 5'3" x 7'5"
Clara Rug, 9'3" x 12'9"
Courtly Blue Rug, 7'6" x 10'6"
Rug hand loomed by master weavers.New Zealand wool and viscose for a nice sheen.Size is approximate.Imported. 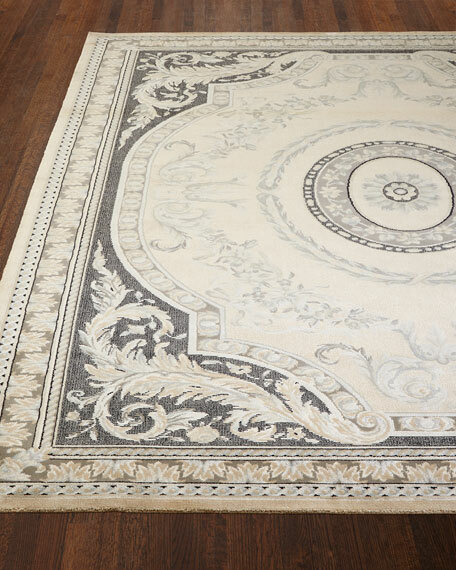 Ivory Jewel Rug, 7'6" x 10'6"
Machine-made rug.Loom knotted of viscose/wool.Soft under foot.All rugs have a "light" and a "dark" side, depending on the viewing angle. The photos at left show this rug from both sides.Size is approximate.Imported.